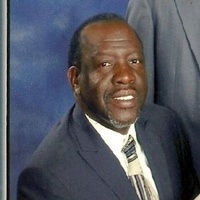 Lafayette - Funeral services will be held Saturday, March 23, 2019 at 11:00 a.m. at St. Anthony Catholic Church for Leonard James Wiltz, 59, who died March 14, 2019 peacefully at his residence. Services will be conducted by Father Clifton Labbe, S.V.D. Entombment will be in Immaculate Heart of Mary Mausoleum. He is survived by his loving wife and best friend of 32 years, Bulinda Brown Wiltz; his son, Brandon Wiltz (Mariha) of Sunrise, Florida; his mother, Velma Wiltz of Lafayette, Louisiana; and his sister, Joyce Deloatch of Williamsburg, Virginia. Leonard will also be fondly remembered by his granddaughters, Baylee Elizabeth and Aubree, sister and brother in laws; aunts; a host of nieces and nephews; cousins, extended family members and friends. Leonard was a student of Lafayette High School and graduated in 1977. Leonard worked and retired from the University of Louisiana at Lafayette after 35 years of service and later returned as a part-time employee in the Athletic Department. He was a dedicated and loyal employee. Leonard always enjoyed traveling with the football team. He was preceded in death by his father, Leonard “Bert” Wiltz; his maternal grandparents, Lilian B. Francis and Adam Francis; his paternal grandparents, Clarence Wiltz and Laura Wiltz. Visitation will be held Saturday, March 23, 2019, at St. Anthony Catholic Church from 8:00 a.m. until time of service. A rosary will be recited at 9:30 a.m.
Click here for the Syrie Funeral Home website. Click here for a pre-game photo of Lloyd and Leonard at the FIU game on Nov. 20, 2010. Click here for Leonard at the Sept. 11, 2011 Nicholls State football game. Leonard went to work for the university on May 19, 1977 and retired as a Maintenance Foreman on Jan. 6, 2012.On July 27, 2012 he worked part-time for Athletics until the day before his passing. (Above information provided by Charlene Hamilton, Human Resources Department). Leonard was a nice person who took pride in doing tasks to the best of his ability. He always went the extra mile and was dedicated to the university. RIP, Leonard.